There are dozens of heroes you can collect, but you don’t have to use the gacha mechanics to get them: that pretty much summarizes the game for you. With its impressive graphics, this RPG game offers many systems that we’re familiar with, but it still has some unique features. 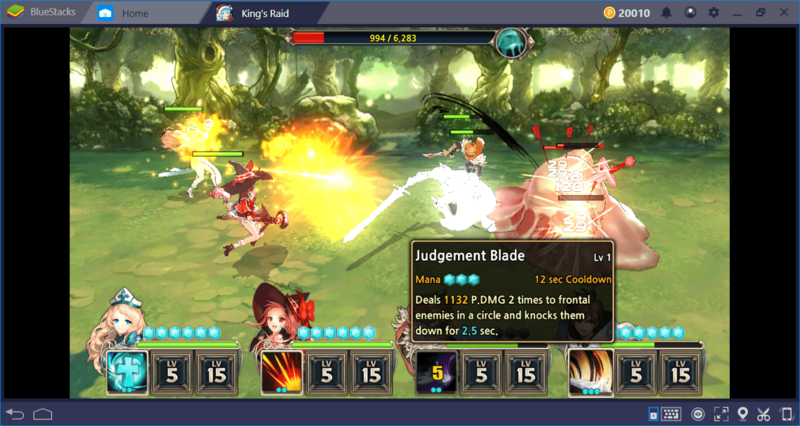 If you’re looking for an RPG with rich content to keep you busy for months, King’s Raid might be one of your best options. Let’s take a look at this game together and give you some tips to start your adventure quickly: Are you ready to save the world once again? 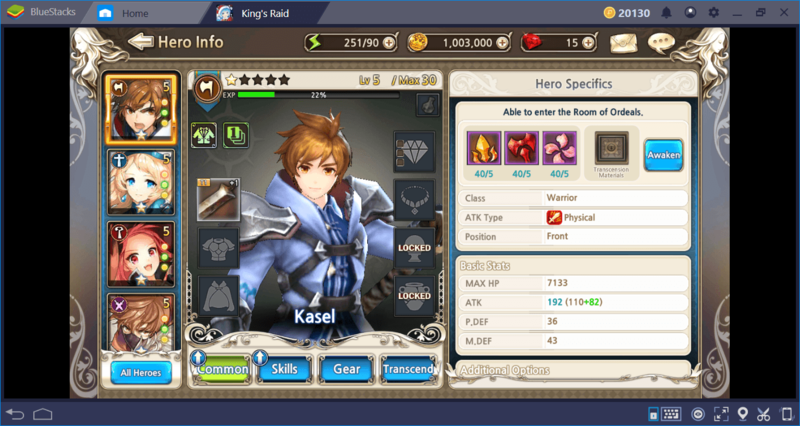 King’s Raid has a generic high-fantasy story: You control a knight named “Kasel” and fight against a “darkness” that threatens the entire world. During his journey, Kasel meets many different characters and incorporates them into his party: Your goal is to create a party of four and select four heroes to empower them as much as possible. After doing this, you can start farming for “gear” and “fragments”, to further strengthen them. 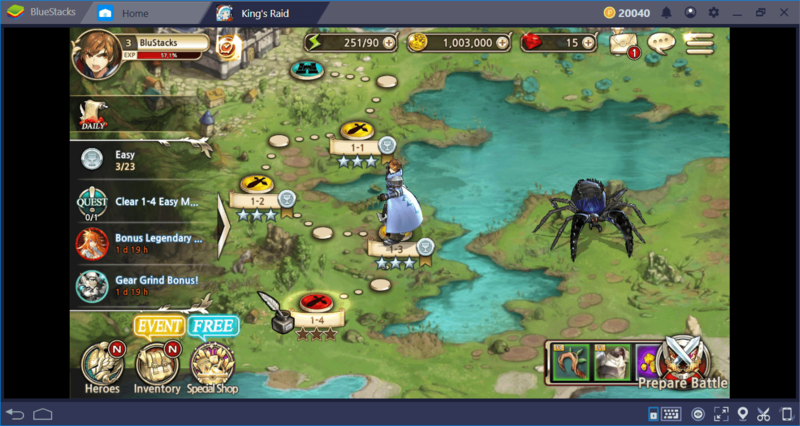 So, if you’ve played any mobile RPG game before, the story and mechanics will be quite familiar. SDPS: Secondary damage per second. As a general rule, each party must have a tank, a healer, and two damage dealers. We start the game in a town: You can think of it as a “hub”. We often have to go back to here to take advantage of some features. For example, we can access the stockade dungeons only through the town. Using the blue circles in front of them, you can enter each building. To fight, we need to switch to the world map. In this map, we are able to complete the campaign missions of the game. Each mission can be repeated at four different difficulty levels and the rewards increase or decrease according to this level. You cannot start a new mission before finishing the current one. You need to follow the order which the game has determined for you. You will be fighting against a number of enemies automatically in campaign missions. Your heroes can do basic attacks on their own but you decide when to use their special abilities. Some skills can be used as a “combo” to complement each other – in our BlueStacks Setup guide, you can find more information about this. 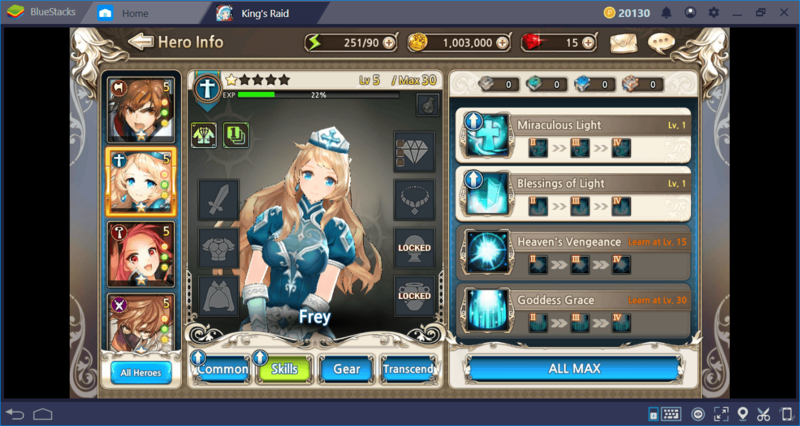 Blue arrows indicate the level of mana and each special skill requires a certain amount of mana points. You can find out how many points you need by clicking and holding on a skill. 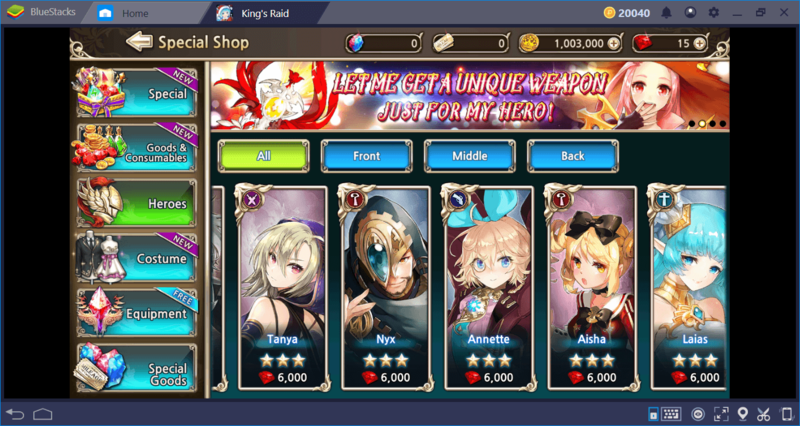 The reason why King’s Raid does not use gacha mechanics is that every hero in the game can be purchased directly with ruby. So, you don’t have to pick up their “shards” or open up the “loot crates”: if you have enough rubies, you can buy any hero you want. You have the option to purchase rubies with real money, but you can get them for free too. For example, completing campaign missions at “easy” level allows you to earn 5 rubies the first time. The higher the difficulty level, the higher this amount will be. (You can browse our Tips and Tricks guide for other ways to win free ruby.) In other words, if you’re patient enough, you can earn enough rubies to purchase every hero in the game directly. Completing campaign missions enables you to get XP points and equipment. You can use both to strengthen your heroes. As with many other gacha games, you can make them even stronger with different methods: For example, with the “awaken” method, you can get a completely different hero. You can also upgrade your special abilities of your heroes to make them more effective. 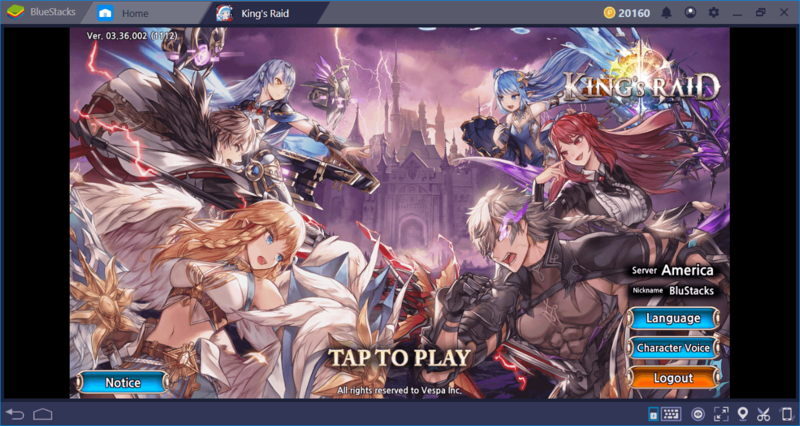 King’s Raid uses the mechanics you’re accustomed to from many other gacha games, so you won’t have a problem of “learning” the game: Collect the heroes, empower them, and defeat the enemies. However, removing the “luck” factor from gacha mechanics is an extremely positive feature: Now, you can focus on a specific hero instead of hoping for being lucky. 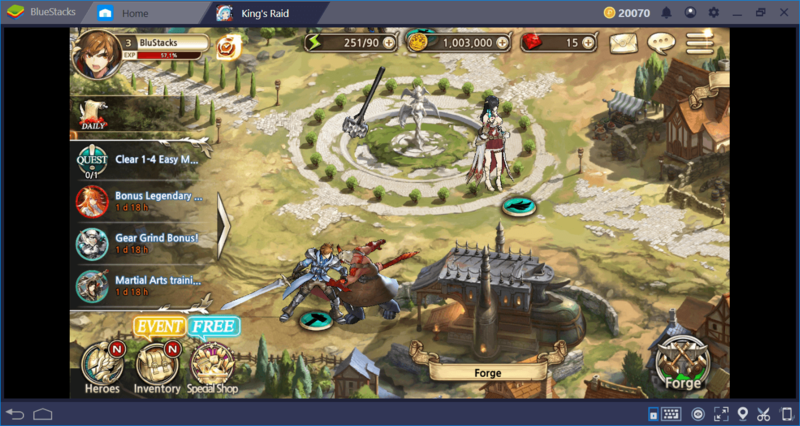 We liked what we see and we are sure that King’s Raid has enough content to keep us busy for a long time: We’ll continue to provide useful tips on this game in our other guides. 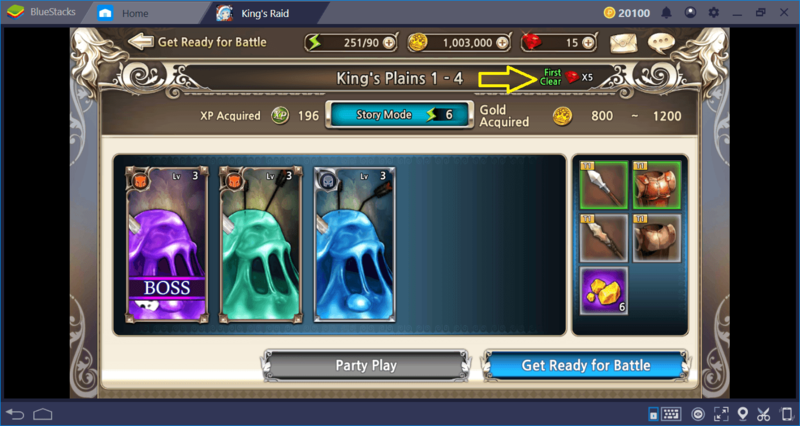 Join us on BlueStacks!